Home // KEYBOARD SYSTEM INCLUDES ADJUSTABLE KEYBOARD MECHANISM AND KEYBOARD TRAY #AM15 & P01SV. SAVE MONEY W/FREE SHIPPING NO TAX OUTSIDE TEXAS. KEYBOARD SYSTEM INCLUDES ADJUSTABLE KEYBOARD MECHANISM AND KEYBOARD TRAY #AM15 & P01SV. Improve the keyboard ergonomics of your computer workstation with this keyboard system. 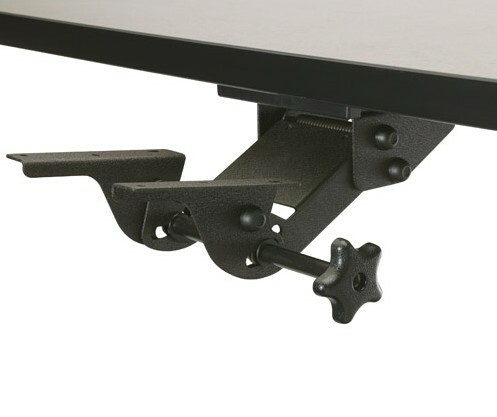 Features a lever control that adjusts the height 5.75" so basically your keyboard system + keyboard tray will be flush with your work surface. Eco Friendly Furniture. Recycled content of keyboard tray 40% & 90% for keyboard arm. The tilt adjusts your keyboard tray plus or minus 15 degrees. The friction slide operates on 18" track horizontally. Keyboard tray dimensions are 11.75" X 22", finished in soft touch vinyl. 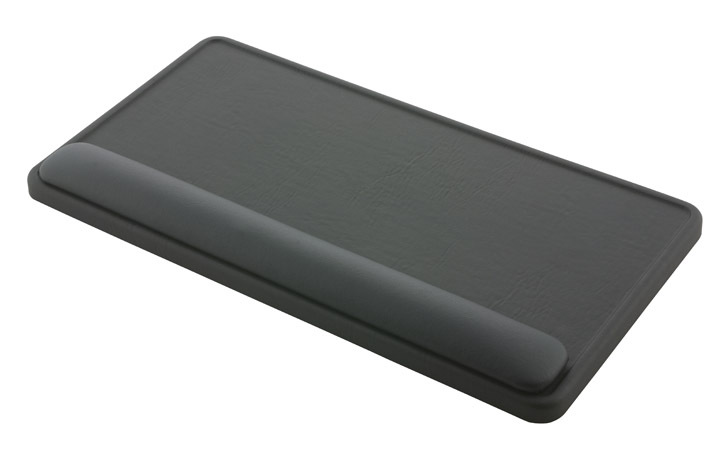 Wrist rest in black fabric. 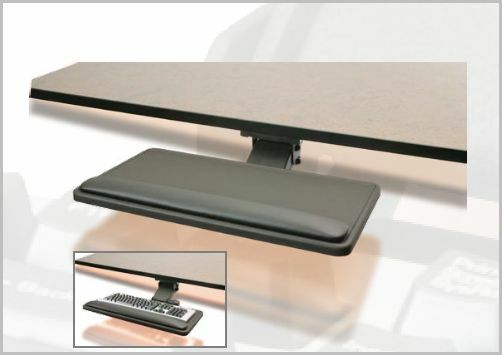 ErgonomicHome.com is an online furniture store since 1997 with 40 + years of office furniture industry experience. Questions? Phone home free to 1-877-550-2678 or click to email Tom . We are safe, sure, sound, and secure. Click Add To Cart above right to save before sale ends.